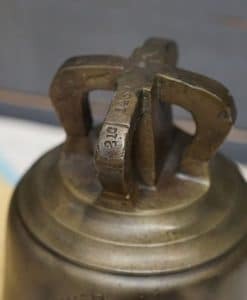 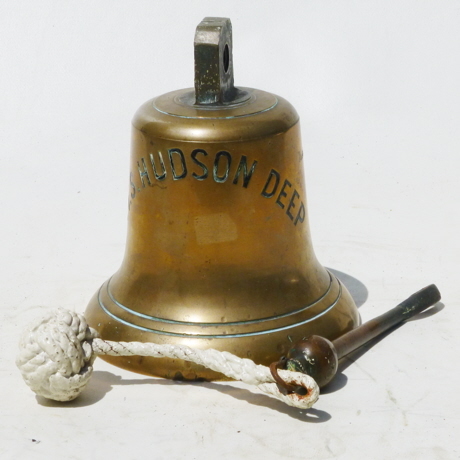 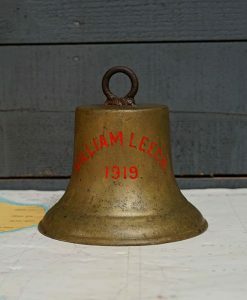 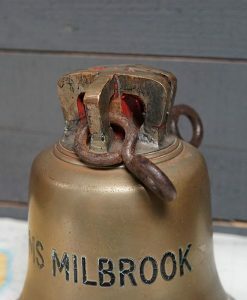 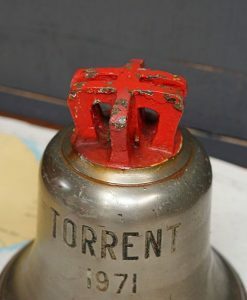 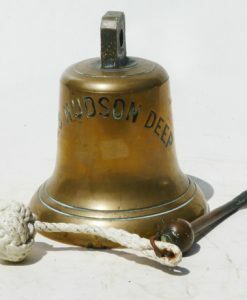 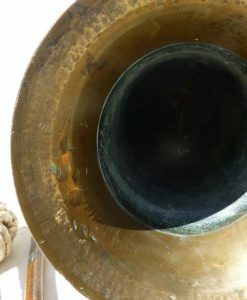 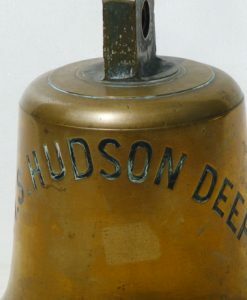 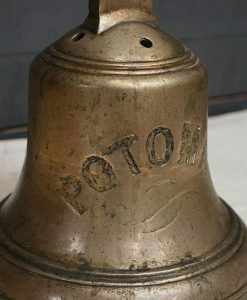 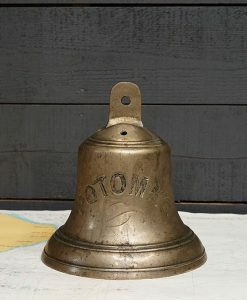 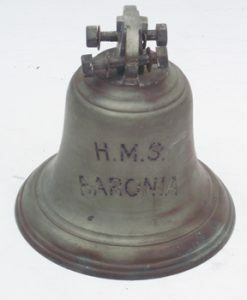 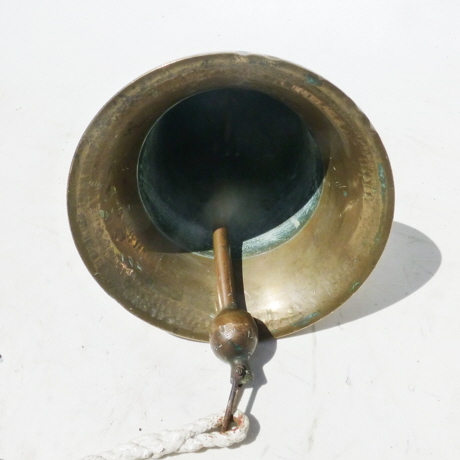 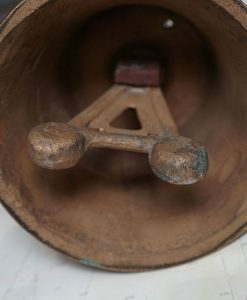 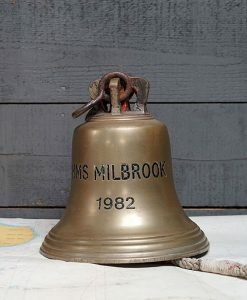 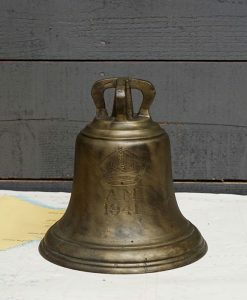 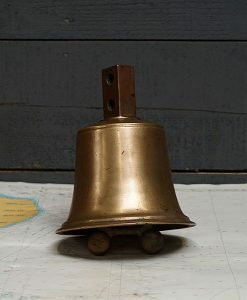 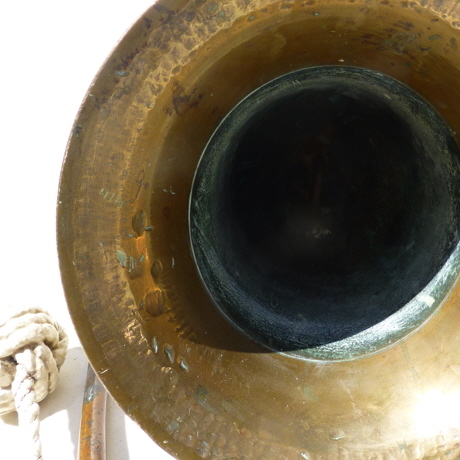 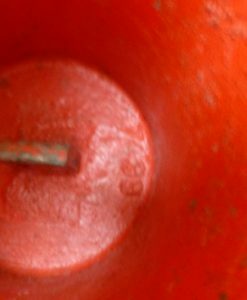 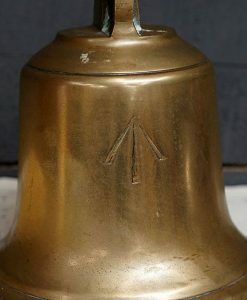 The ships bell from Ms Hudson Deep. 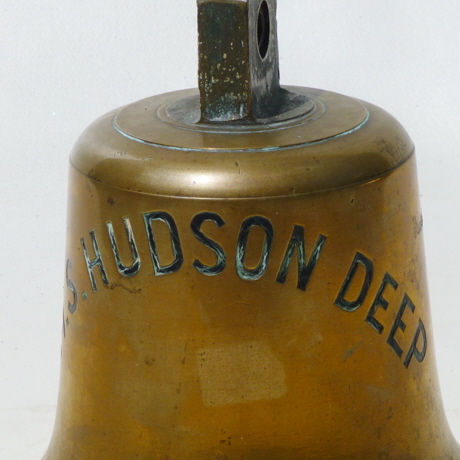 Built 1952 for Hudson Steamship Co. London. 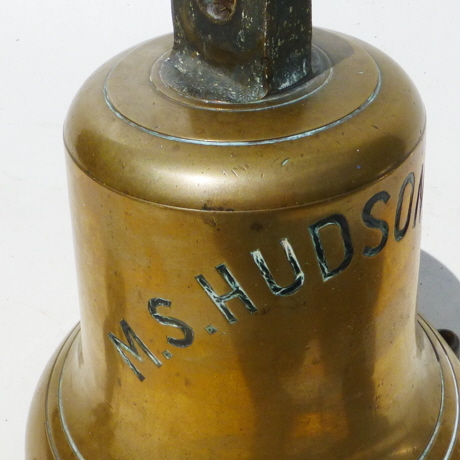 John Hudson & Co started shipowning in 1915 to transport coal from northeast England to London. 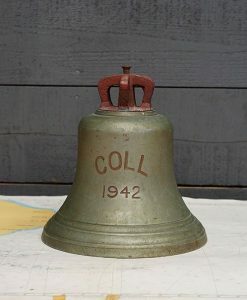 By 1939 the company owned six colliers but lost five during the war. 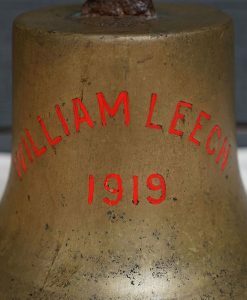 The fleet was rebuilt after the war with two Empire ships and five new buildings. 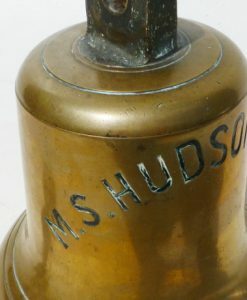 Hudson’s the diversified into the West Indies sugar trade and Baltic and Mediterranean trading. 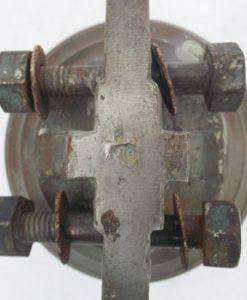 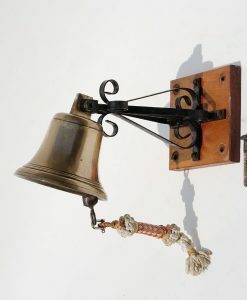 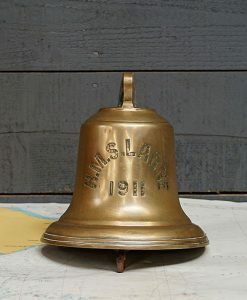 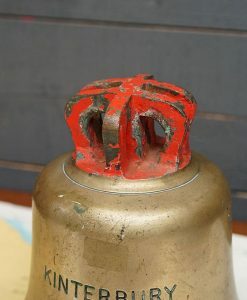 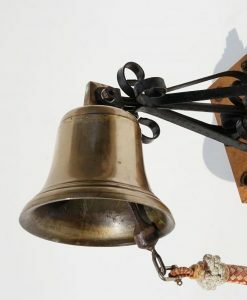 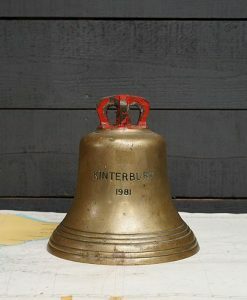 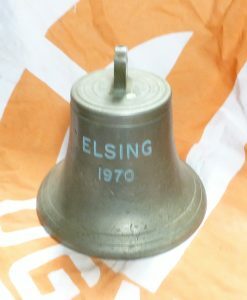 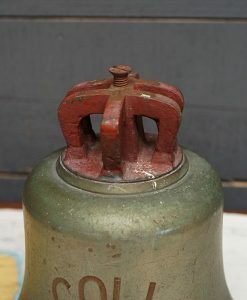 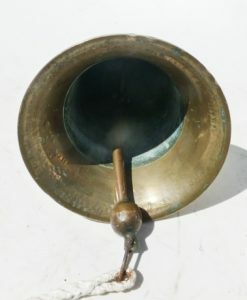 The last collier was sold in 1973 and the bulkers were used in a variety of trades. 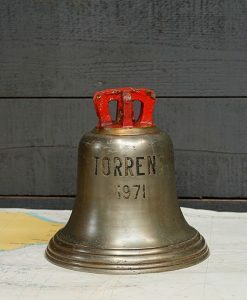 Sold in 1972 to Rodosea Shipping, renamed Irenes Hope.